The country’s hottest housing market is trending to levels not seen since the last recession, according to one major bank. According to TD, Toronto’s housing market is trending in two different directions; with the single-family market remaining hot and the condo market cooling. 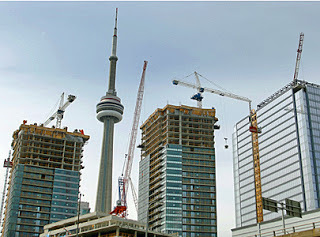 However, condo development still accounts for 80 per cent of construction activity in the Greater Toronto Area, which concerns the bank. It points to the fact that there are three condos available on the market for every one sold, compared to the detached home market, which has 1.5 listings for every sale. However, not all is entirely bleak in Ontario’s capital city.